Hey hey hey! 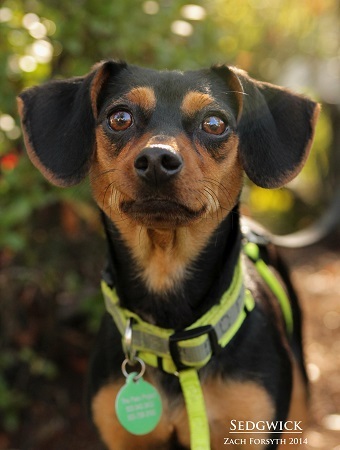 I’m Sedgewick, a 10 month, 10 lb Dachshund mix. I’m here getting ready for my new home and the holidays. Halloween is just around the corner and I don’t have a costume yet! I was gunna be a slice of pizza but then I kept eating my costume… Just trying to get into character? If your looking for a buddy to go trick-o-treating with I’d love to join you. I’d make a great addition to your Halloween costume and home. No tricks just treats for me! 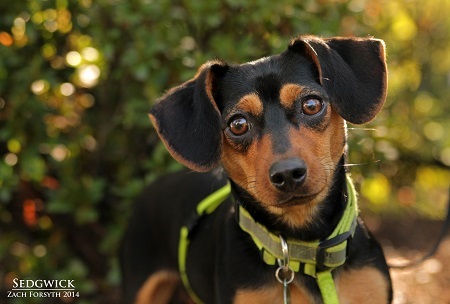 Stop by the Pixie Project to meet this little slice of life. I’m neutered, vaccinated and with puppy classes required. Adoption fee $250.